Sega Mega Drive Ultimate Collection, known as Sonic's Ultimate Genesis Collection in North America, is a compilation of numerous Sega Mega Drive games for the Xbox 360 and the PlayStation 3. It can be seen as a spiritual sequel to Sega Mega Drive Collection. Each of the games can be upscaled to high-definition (720p), and the graphics can be de-pixelated through the use of an optional screen filter. Each game is given three savestates which allows players to save at any point in the game and restart from that point later. In addition there are options to adjust the volume levels of the game sound, music, and sound effects. Each standard game has a museum section which contains game info, trivia, and cartridge and game case images. There are also unlockable games and interviews with the original game developers. The Xbox 360 version includes achievements and the PlayStation 3 version includes trophies. Disappointingly, the lock-on feature of Sonic & Knuckles is not included in any version, and thus Sonic 3 & Knuckles, Knuckles in Sonic 2, and Blue Sphere are not in the game. Sega Mega Drive Ultimate Collections producer, Ethan Einhorn, stated that in order for those games to be included, the other unlockable games would have had to be dropped in order to have enough time to get the lock-on feature working. Like Sega Mega Drive Collection before it, the game contains a number of unlockables that were released on other home consoles and arcade platforms. Alien Syndrome (Arcade, System 16) - Reach Mission 3 of Alien Storm without losing a life. Altered Beast (Arcade, System 16) - Get 100,000+ points in Level 1 of Altered Beast for Sega Genesis. Congo Bongo (Arcade, Zaxxon Hardware) - Beat the 1st level of Streets of Rage with all 3 characters. Fantasy Zone (Arcade, System 16) - Get 80,000 points in Flicky. Golden Axe Warrior (Sega Master System) - Use magic 10 times in Golden Axe 3. Phantasy Star (Sega Master System) - Defeat the first boss in Sonic the Hedgehog 2 (Drill Eggman) with 2 players. Shinobi (Arcade, System 16) - Complete the first level of Shinobi III without using continues. Space Harrier (Arcade, Sega Hang-On hardware) - Score over 1.5 million points in the first level of Super Thunder Blade. Zaxxon (Arcade, Zaxxon Hardware) - Collect 5 Bonus Coins in Decap Attack. Rieko Kodama - Collect 1000 in currency in Alex Kidd in the Enchanted Castle. Makoto Uchida - Collect 20 magic power-ups in Golden Axe. Kazuo Wakihara - Get 20,000 points on Easy Mode in Columns. Akira Nishino - Collect 5 Yellow Stars in Ristar. Kazunari Tsukamoto - Play Phantasy Star III: Generations of Doom. Takao Miyoshi - Play Phantasy Star IV. Tohru Yoshida - Play Phantasy Star II. Shun Nakamura - Obtain a Chaos Emerald in Sonic the Hedgehog. GameFAQs -Regular cheat codes for the other games. Main article: Sega Mega Drive Ultimate Collection/Achievements. 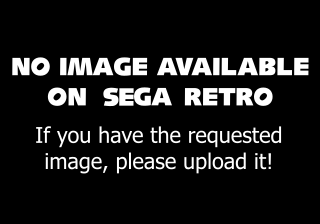 Main article: Sega Mega Drive Ultimate Collection/Magazine articles.